Hey there PlayStation gamers, Bre here with a second update of the night. Who here has played a Final Fantasy game? Who here is looking forward to the new season pass that has been announced? 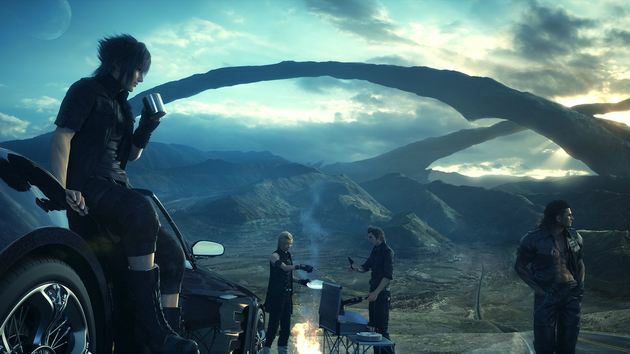 If so then this update is just for you, the reason release of news that Final Fantasy XV season pass there has been some speculation of what could come with it. While we can’t confirm what each of these shall bring it does seem there are some obvious things, such as Holiday Pack. There also seems to be an episode for each member of the Noctis party to come out with this season pass. The one that seems the most meaty and important though is the Expansion Pack, but that’s just our theory. I think we’ve given you enough to think about, so time to just wait. Until next time, keep on gaming. So what exactly is a "season pass"? The ultimate collector's edition doesn't even come with the season pass. I bloody hate season passes in games where it doesn't belong.